Designing from nature in mind makes the concept more dynamic and profound for me. Whether it be the gorgeous way that nature creates or the feeling that you get from being around it, stones, leaves, flowers, trees, water, metals and all the natural formations they make are astounding when you think of how breathtaking they can be. I love nature in it’s purist form, but I am also excited by urban interpretations of nature or incorporating items found in nature into the designs of furniture, decor styles, and decorative items. It’s an exciting time to live on the earth in terms of how designers across the globe are pushing the boundaries with just how many ways this can be creatively done. The image shown is from Roderick Vos’s showroom. 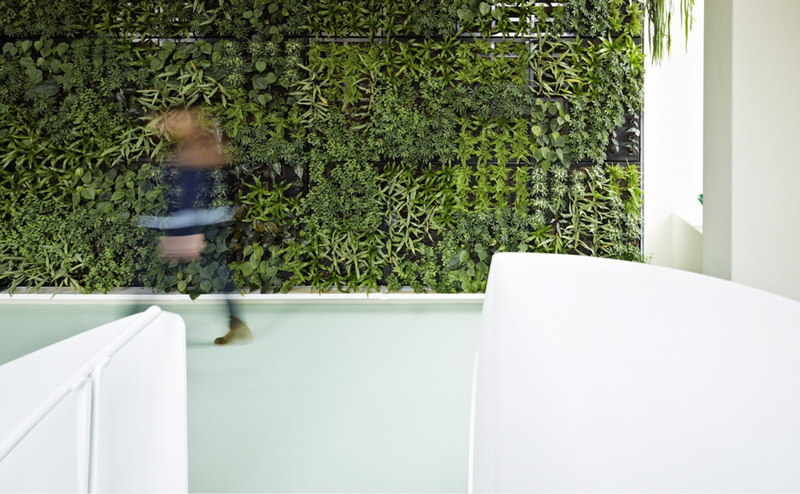 One of our favorite design showrooms worldwide, we love their beautiful vertical planted wall. It is a wonderful example of how nature completely transforms the look and feel of the environment. This section will bring you inspiration and decorating ideas from around the globe along with new techniques and many resources to use for your own home, office, or retail space. Each photo shown will be highlighted with more information as we evolve with our new blog. Photo of Roderick Vos’s showroom, designed by Roderick Vos. Photographer – Rene Van Der Hulst + Art Direction & Styling Petra Janssen from Photo Boot. Join our creative community – sign up for our mailing list for special tips, deals and invites to our lectures and classes. Follow us on instagram, pinterest, facebook and houzz for more photo inspiration, tips, and updates. If you like this designing from nature post you may also enjoy other blog pages such as Trend Alert + Whimsical Design + Feng Shui + Psychology in Design. We are always available to book either of our signature design services such as our Los Angeles interior design consultations for home, office or retail or for smaller projects we offer a space revitalization consultation (LA or online). Let us curate a beautiful collection of exquisite finds at your home, office, or retail space or rejuvenate all the great items you already have. See what we have done for past clients here. See what our clients have to say about the projects we completed for them.